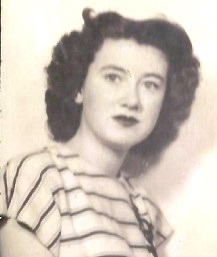 My aunt Georgiana was born in 1932. The third of 4 girls, her enthusiasm for life and her resistance to conform made her a constant topic of family gatherings. I was always intrigued as well as secretly admired her. But it was not until June of 2017 that I was able to understand and appreciate the intensity of her love of life and freedom and the brave woman she is. As a young woman, marriage was her only ‘socially acceptable’ option. But her heart’s passion was to own her own beauty salon. Complying with family pressure she married and soon divorced with two little boys. She did, however, have family support during her schooling and early job endeavors. She eventually accomplished her dream. As years passed Georgie became more and more committed to her faith journey and her journey to optimal health. In 2010 something happened. There were social and physical issues which put her in the emergency room on several occasions trying to find a solution to her concerns. Her medical records report that she was in relatively good health with a few simple chronic issues. The report continued to say that she was cordial and neither a threat to herself or others. She was clean and well cared for. I have not been able to pinpoint the exact catalyst other than a series of medical referrals which led to a competency hearing. Soon my aunt found herself in court and assigned a guardian. Prior to this event, by aunt was independent, owned rental property to ensure ongoing income and had no liabilities. She had cared for herself and was fiscally responsible. I am so grateful for her resistance and tenacity. Her persistence eventually got her a new competency hearing and in 2015 she was deemed competent. But even with her ability to reason, care for herself and tend to her finances, she was not able to stop the guardian from selling her rental property, at an amount below market value, selling all of her personal property for about $2000 and liquidate her investments. Besides having access to her resources, the guardian did not stay current with some fees, bills, etc so that at the end of this horrible nightmare, my aunt had less than ½ of her assets and now had liabilities that exceeded them. At this time she no longer has her own home, her furnishings and belongings are minimal and yet she continues to pursue justice. I so admire her and her desire to speak out. She has written her congressmen, her senators, judges, the state of Wisconsin AG and anyone else she can think of. Her desire is find justice for herself and to help inform others. If you think this cannot happen to you or a loved one, think again. Not only did this happen to my aunt, but it happened with the approval of a judge. This injustice was legal. Changing the laws is the only recourse. Thank you NASGA for the work you are doing.